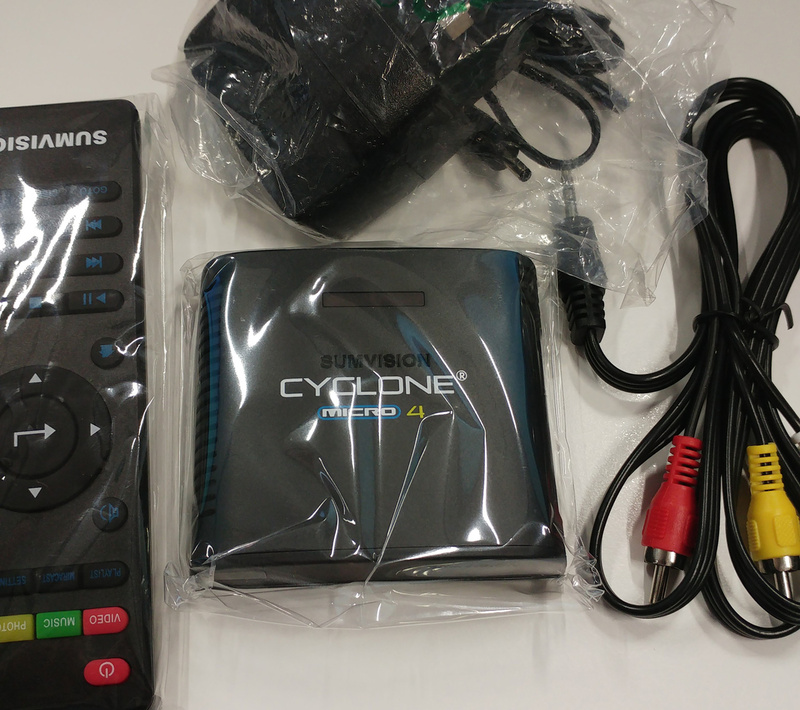 I recently bought a Sumvision Cyclone Micro 4 multimedia player so that we can watch movies from SD/USB/HDD if out on a long trip. I managed to fit it today and whilst doing so found a problem with my bus’s AV. Previously I had just run a single RCA (yellow) to the middle row socket so that the Pumpkin could output video to the bus’s screens and drive the speakers itself. Worked fine, but with the Cyclone I thought I’d try to connect it directly to the sockets independently of the Pumpkin. Found that no matter what I pressed up front or on the AV remote I could get no sound from the speakers. The Cyclone was playing sound fine as I’d just connected it to the Pumpkin’s AV IN. So my plan to just put the Cyclone in the back somewhere and plug it in when required went out of the window. Now I have it connected to the Pumpkin’s AV IN plugs, and it works on all three screens. I’ve moved my camera feed to ‘CAM IN’ but it needs 12v to the reverse wire to switch to that input so connecting that to my video mixer’s trigger switch is a job for another day. 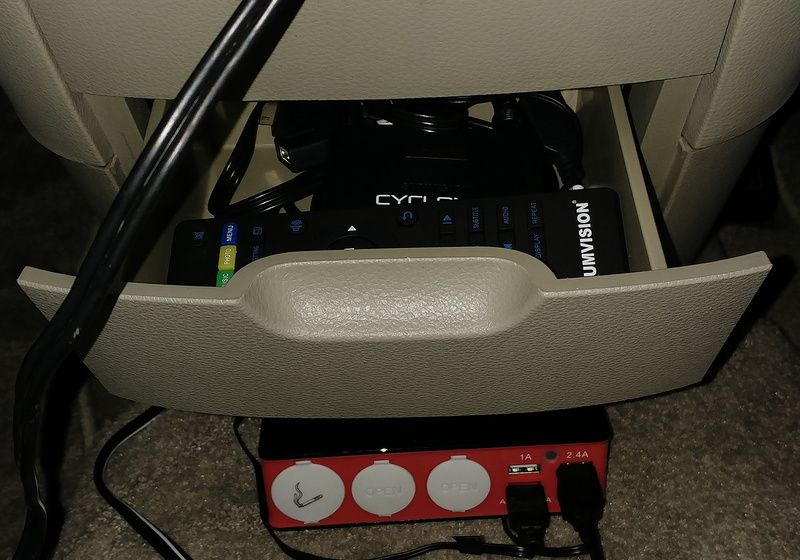 I removed the multiple power feed unit from the middle drawer in the console and put the Cyclone in there. The wires come through the back of the drawer, along with the Pumpkin’s USB/iPod connectors. 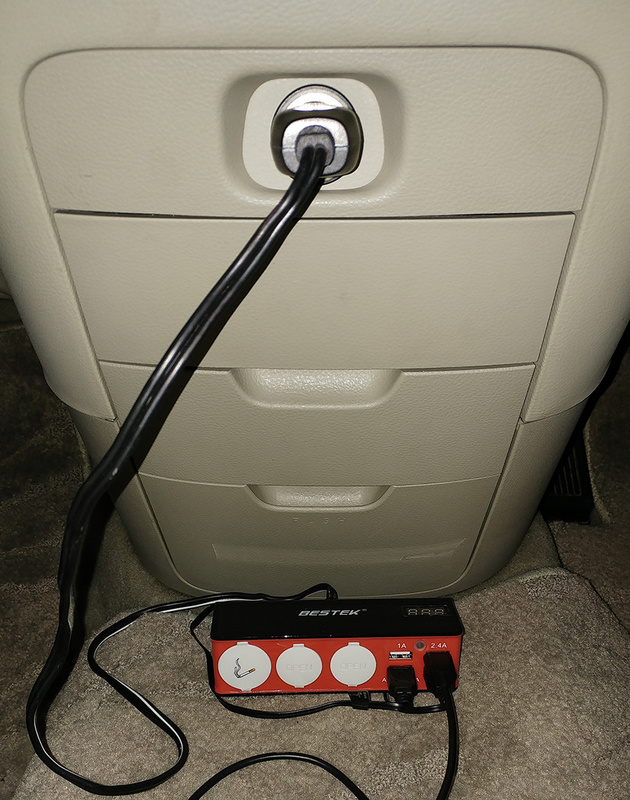 The power wire and my dashcam power wire both come through under the centre console. I’ll sort out the position of the power unit soon, or come up with some solution that has several USB ports flushed with a panel. My first job today was actually replacing the single AV cable with a three way cable which has now been a waste of time (unless I can work out what the heck is causing no sound to be played from that port). Strangely whilst doing all this the only controls on the bus’s AV remote that work now are volume and power. I’ve lost the rear screen tilt adjustment and who knows what else that was working when I last used that remote.